The military budget of the country more than $ 70 billion a year. The third largest in the world. The Russian army — a huge colossus, of course that is not made of clay, but of steel. 845,000 people personnel, 22,550 tanks and 1,399 combat aircraft: any aggressor should think twice before contacting with such force. Here is a list of modern weapons, which is now used in the Russian armed forces. 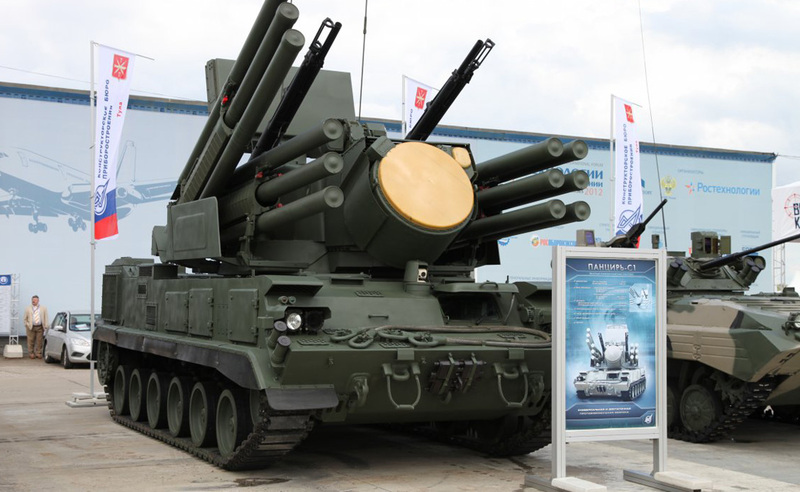 This self-propelled anti-aircraft missile and gun system alone can implement to strengthen the protection of the whole army. The system consists of 12 guided missiles «Air» and two automatic guns of 30 mm, effective against aircraft, helicopters, ballistic and cruise missiles.